Travelling around Milan by tram is a great way to see the city. Thanks to the extensive network that has been in operation since the 1880s, it is possible to cross the city and travel on a variety of routes around the centre. If you buy a MilanoCard before you arrive in Milan, you can journey free on the tram network, as well as the buses, metro and city trains. 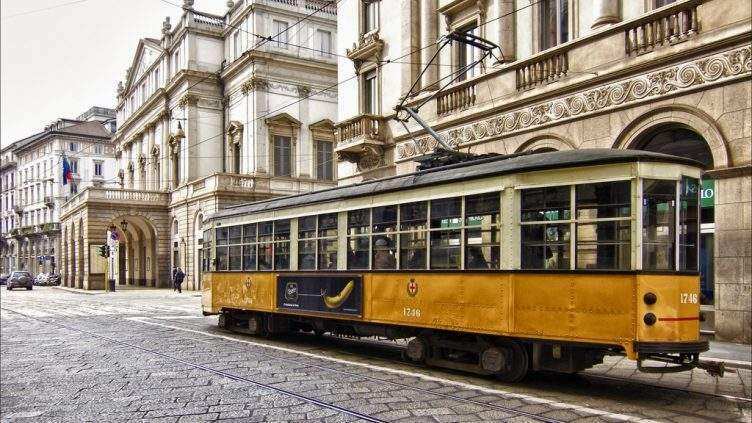 A visit to Milan by tram also offers you the chance to take some more unusual tram rides. 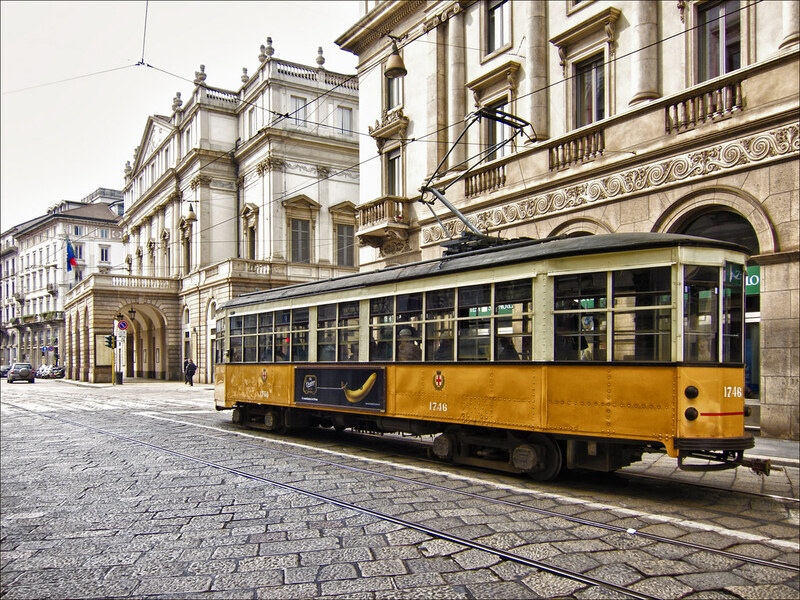 TraMilano is a tram tour that takes in many of the major tourist destinations of Milan. It takes place aboard a wooden 1929 tram and provides an audio guide of the sights that can be seen on the tour. Unlike many city tours you do not have to take the whole tour in one sitting, but can hop on and off at will. For example, you may join the tram at Montenapoleone and get off at the cathedral. 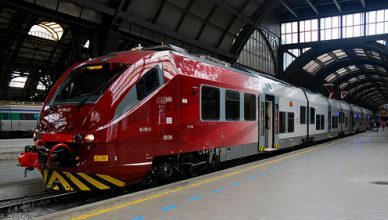 After your visit you will have no more than ten minutes to wait before joining TraMilano again to travel on to Sforza Castle or the Arch of Peace. 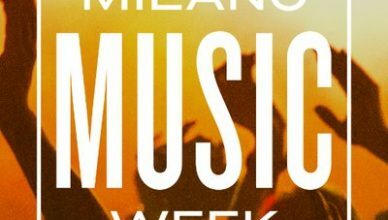 If you have a Milan City pass click here to find out about discounts available. 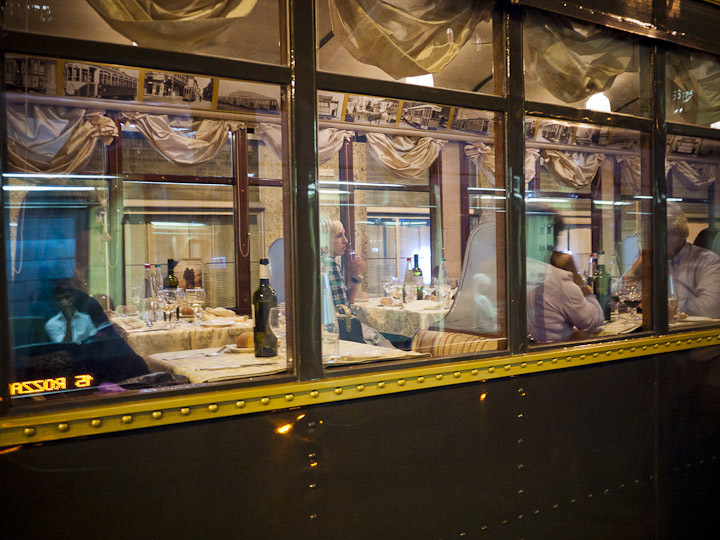 Dining on a tram will be a meal you never forget. ATMosfera 1 and 2 are historical trams that have been transformed into elegant restaurants, with genuine old teak benches. The trams are air-conditioned and include a cloakroom and toilets. They leave Piazza Castello every evening to tour the main sights of the city while guests enjoy a typical Milanese four course meal with a choice of meat, fish or vegetarian options. The price also includes a bottle of wine between two people, mineral water and coffee. Booking is essential if you wish to enjoy this very special dining experience.